AhnLab TS Engine Suite is a next-generation integrative engine capable of offering effective response to a wide spectrum of the latest security threats, including viruses, malicious codes, Trojan horses, spyware programs, and phishing. It ensures flexible and stable services for your system, by offering the AhnLab TS Engine Suite API which enables easy link and implementation with all types of applications and solutions. AhnLab TS Engine Suite provides customizing modules capable of adapting themselves to a wide variety of operating systems and product types. 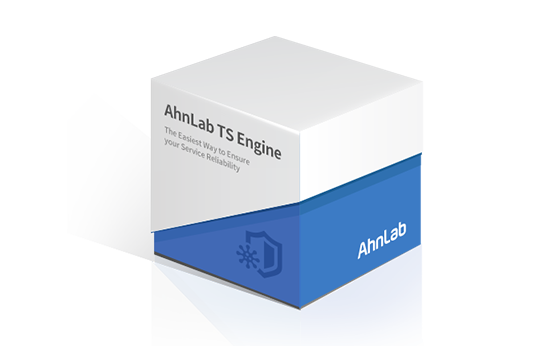 By offering the fastest and most accurate anti-malware function, AhnLab TS Engine Suite helps you build a safer business environment by protecting your system and service against various security threats.